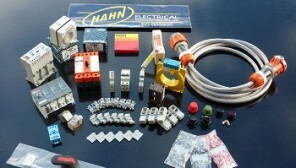 Through a wide range of connections with major manufacturers and suppliers Hahn Electrical Contracting is in a position to fulfil all of your Electrical Product needs. 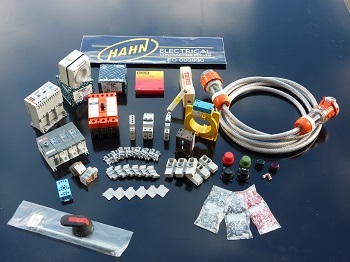 We hold a wide range of stock for mining and industrial applications including (but not limited to) circuit breakers, contactors, relays, cable termination and jointing kits, lugs, links, cable ties, heat shrink and much much more. Orders can be filled for major project quantities or one off purchases in emergency breakdown situations.